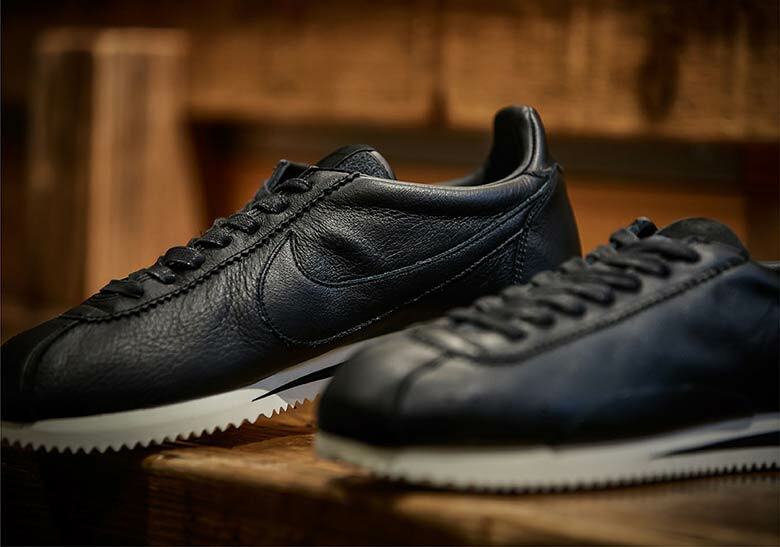 First released in 1972, re-energized by none other than Forrest Gump in 1994 and still going strong today with a slate of Kendrick Lamar collaborations/re-releases of classic colors, the Nike Cortez is unquestionably one of the Swoosh Brand’s most esteemed and historic models. Now, retailer Billy’s Tokyo has teamed up with the Swoosh for an understated premium take on the classic runner that’s set to release exclusively in Japan. 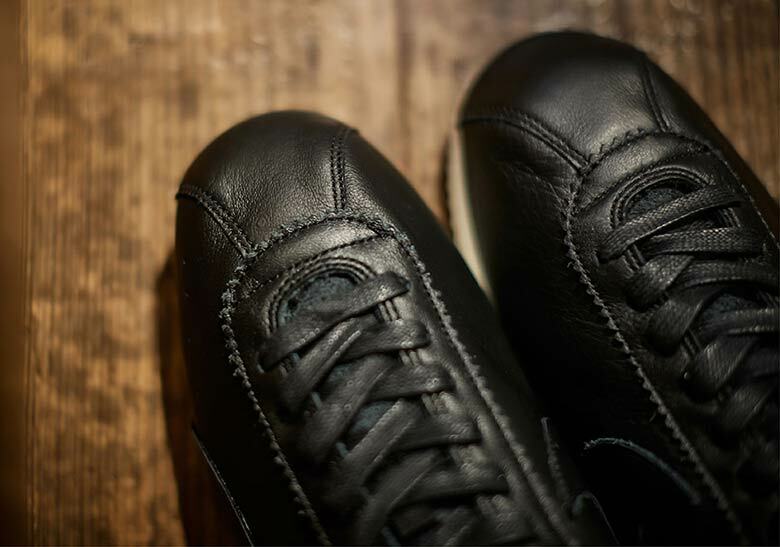 Utilizing an extra supple black leather for the base, the shoe’s most noticeable design feature is the lack of a lateral side swoosh. While the medial swoosh is left intact, the lateral side instead opts for a black suede semi-circle and four small perforations by the tongue for its adornments, and the throat features an interesting jagged outter seam that bears a similarity to the outsole’s aggressive tread. Waxed leather laces and an imperfect leather heel cage add further to the handmade look, and the two-tone sail and black midsole provides a finishing touch of contrast. 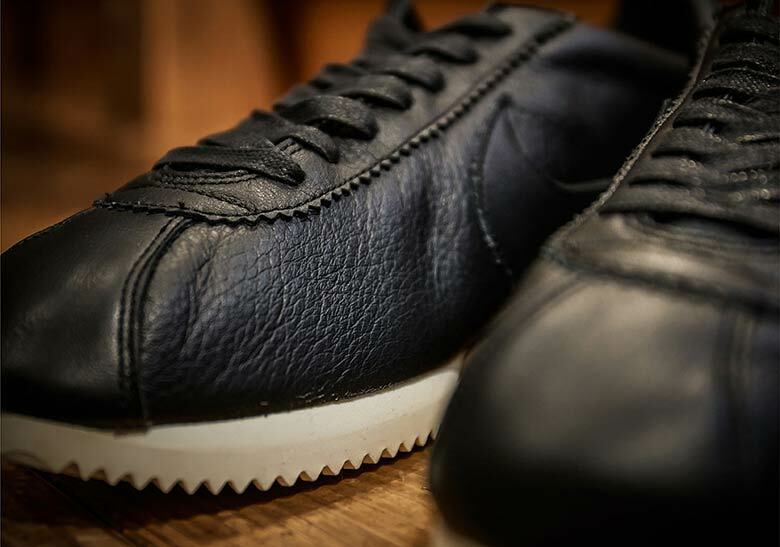 Look for these artisanal Cortez to drop exclusively at Billy’s Tokyo soon for ¥10,800 — roughly $97 USD — and check out our Sneaker Release Dates page for all the Nike drop updates you need.